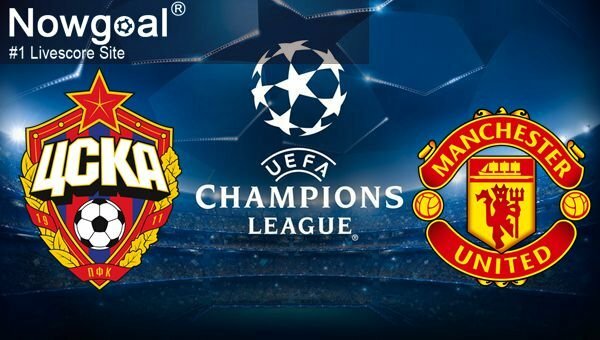 CSKA started group phase of UEFA Champions League with an away victory over Benfica (2:1), so it appears that they have now a real chance of advancing from group A. On Wednesday, they take on Manchester United. “It’s going to be a difficult match. Since Alex Ferguson left, this current Man United team is the strongest of all those we've seen in recent years. No doubt about that. We have experience and quality. Our aim is to find weaknesses in our rival. We know that we’ll get great support from the fans. Team is very motivated,” said coach Viktor Goncharenko. Mario Fernandes is a doubt, but he’s expected to be available. Manchester United are performing well, across all competitions. Now it’s time for away encounter in UCL. “I always like to be back here because it [Moscow] is a beautiful city, every time I come it's better so I have to say that it's a pleasure. Opponents wise, I think it's the best CSKA side that I will have faced,” said manager Jose Mourinho. Players also shared their thoughts. “I watch a lot of CSKA games in the Russian league and they have a lot of experience in their team. But Champions League games are very different to Russian league games and I expect them to play differently tomorrow,” said Henrikh Mkhitaryan. Rojo, Pogba, Ibrahimovic, Fellaini and Carrick are unavailable. To sum up, I believe that visitors are favourites of this clash. Manchester United have more quality than their rivals and ‘The Red Devils’ appear to be in very good form. In my opinion visitors may be able to get all 3 points.